This course focuses on the role of the case manager in addressing the needs of the whole person, keeping in view the environment in which they live, and other health determinants, to ensuring the client’s perception of the value of both the case manager and the care plan. 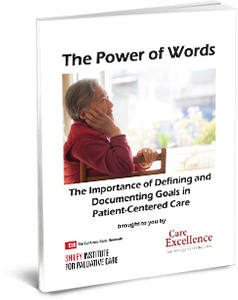 Learn ways to work with clients to understand their perception of quality of life and to look at the management of their health from a whole-person perspective. Each client is a product of his/her culture as well as being a culture of one. Learn fundamental guideposts in understanding different cultures and the impact of culture on attitudes towards health, communication, decision-making, care planning and adherence. Factors like socioeconomic status, education, the physical environment, employment, and social support networks all exert significant influence on an individual’s health. Learn about how to work with clients to mitigate the negative impact and enhance the positive influence of non-health issues on health. Clients are more likely to adhere to care plans in which they are invested. Learn how to use collaborative problem solving techniques and strategies to maximize client investment in creating successful strategies for maximizing their health and well-being. The Patient-Value Perception course consisting of its four modules is available online as a part of the Advanced Concepts curriculum training. Below are some Fast Facts about this course and its modules. Please call us for more information.